Saudi delivered the professional newscast with confidence that cover overall regional, local and international news by Al Dakheel. 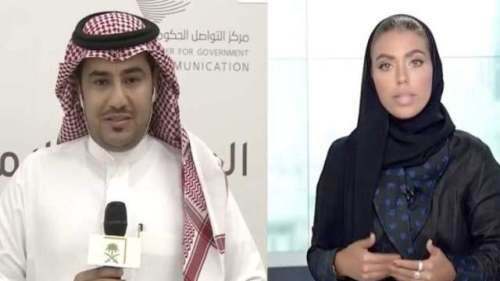 Waeem Al Dakheel, who is the first anchorwoman in the history of the Saudi government, she appeared first time along with the male anchor Omar Al Nashwan at TV Channel present the night news time at 9:30. Usually, since before this time man had dominated strictly in the platform of newscasting, during the time of female presenters concentrate on soft morning newscasts, women’s programmers, cooking shows and weather updates. In the history of morning shows Jumanah AlShami was the first woman who presents the show in 2016. Waeem Al Dakheel repeats the history once again as the anchorwomen in the history of Saudi TV 1, as night newscast. Saudi TV said on its official Twitter channel. The permission of Saudi women is a root of Saudi Vision 2030, organized by Crown Prince Mohammad bin Salman, and a sequence of transformation starts in the Kingdom were resolute at the authorization of women. It becomes famous with the moves and rules which declared by Royal and issued in September by King Salman bin Abdulaziz allowing women to drive as of June 24, 2018. According to the Vision 2030 also aims to exceed the average of women in the labor force. In the last few years, the entrance of some Saudi women in the labor force has been seen.